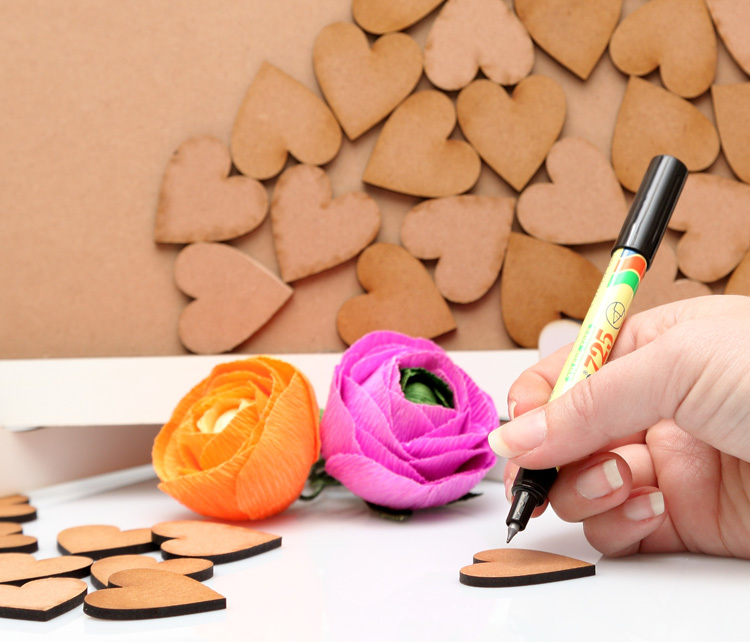 It is has a personalized heart in the middle with the name and date of the couple getting married. 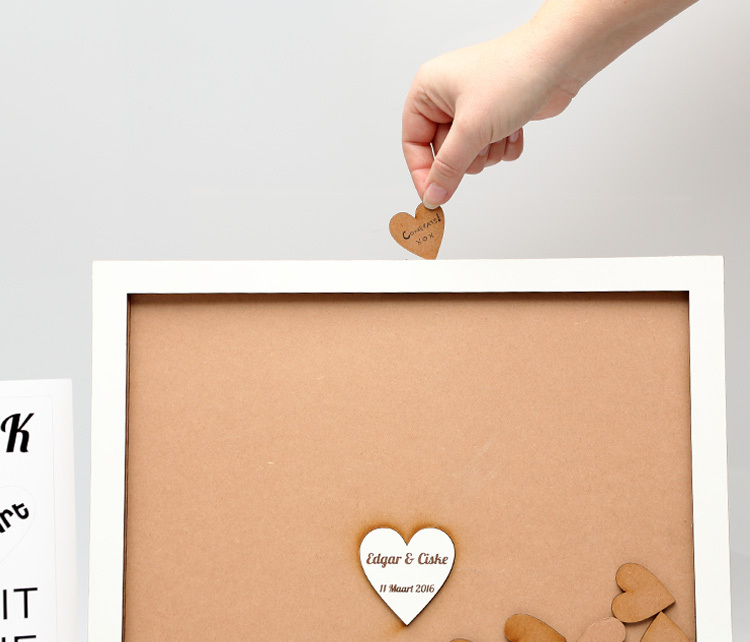 Choose from 60 / 80 or 100 wooden hearts for the guest to sign. 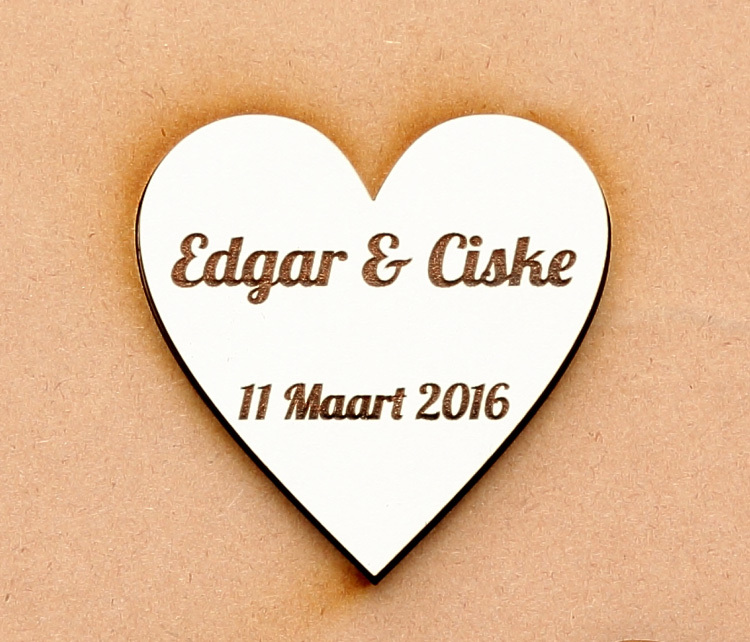 Can be mounted to a wall after the wedding to keep the well wishes alive. 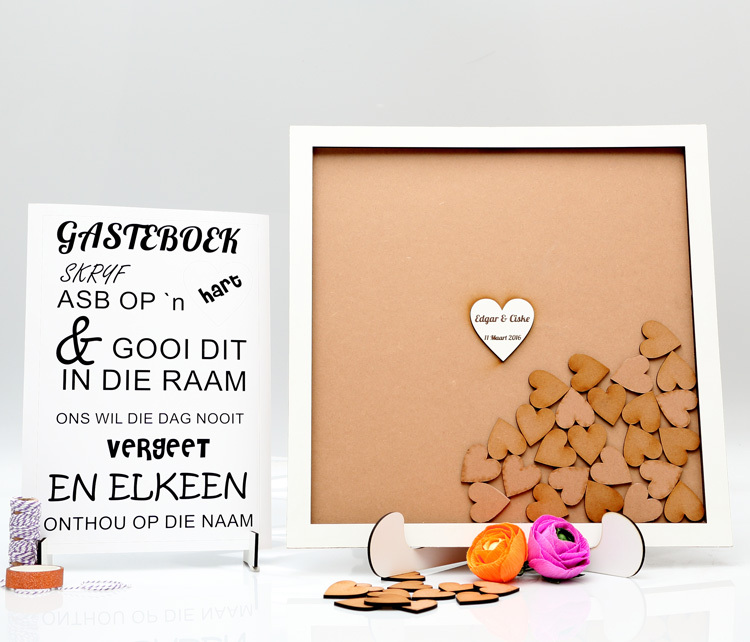 It also comes with a sign in Afrikaans informing the guest to sign a heart and drop it in the frame. 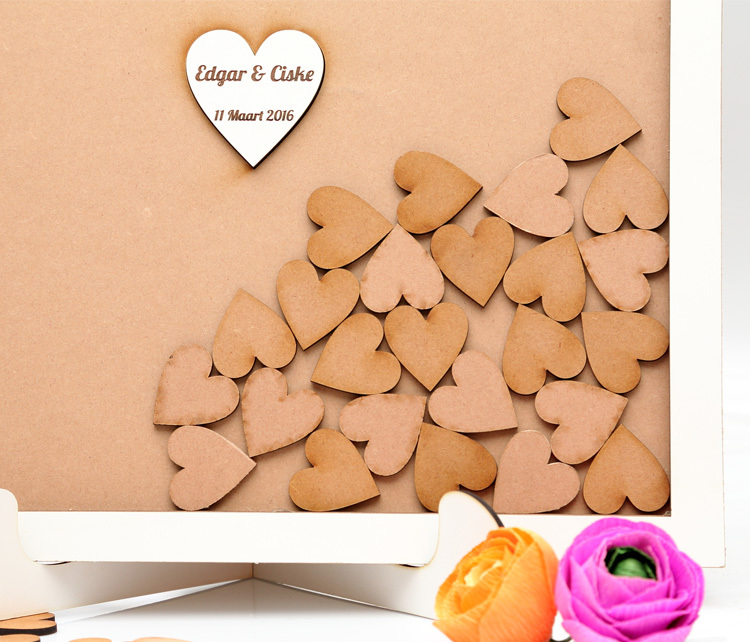 The unique size of 40cm x 40cm makes it ideal for any wedding.